We create solutions with a future: the focus of our business unit ELkomp Solution is on planning, consulting on, and installing anything to do with energy, building, and industrial automation technologies. Furthermore, we supervise your projects through to the ready-to-use system and then also remain as your service partner on location. Take advantage of our many years of experience. And of the know-how of our group of companies and high-performance network. Take advantage of our knowledge: when it comes to anything to do with energy, building, and control technologies, we create a complete solution concept together with you or based on your requirements. From the system diagram to plans, system specifications, and all the components needed. The most important goal: to present you with the solution that is technologically perfect yet also the most economical. Are you planning a new project? Floor or system plans already almost finished? Now you need a partner whose core competency is in the fields of energy, building, and control technologies, someone who can find the perfect solution for your systems technologically? Then we would be happy to meet you. We integrate our planning into your concept. We prepare the tender documents for you, evaluate the offers, and during installation provide the construction management, right through to handover. Do you have to install an energy management system in your company in accordance with ISO 50001? Are your systems showing increased energy consumption? Are there high peak currents negatively affecting your bills? We integrate your systems into a modern energy management system. This system monitors, records, and analyses all energy consumption, such as gas, water, electricity, compressed air, and hydraulics. After optimisation, the EMS intervenes in the system technology, reducing peak currents and consumption. 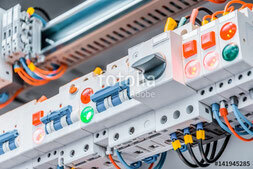 Do you operate complex technical systems that have been renovated and expanded over the years? Have different control panels and manufacturer parts been tacked on? Do failures keep on occurring? 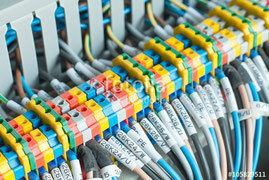 We can test your system based on official German DGUV requirements. Receive advice about optimisation, maintenance, and upkeep. We put together test reports, system documentation, and spare parts lists. And we’ll train your staff on system upkeep and operation. Are you operating existing systems that are very difficult to maintain? We can source spare parts or look for alternatives to minimise failures during system operation. After a check, we find retrofitting opportunities and concepts for modernising your systems. This means you do not have to update your entire system. Do you not have documentation of your systems or their expansions and modifications? Are there gaps in the plans/diagrams or are they missing entirely? We test and document your systems, and put together system plans, spare parts lists, reports, and documentation in a digital format. You receive complete audit documentation from us, including an asset valuation. This prepares you for authorities, insurers, and systems support. On top of that, we point out any defects and come up with ways to remedy them.